11oz. Selkirk Tartan. Our high quality Selkirk tartans are woven in Scotland of pure worsted wool. 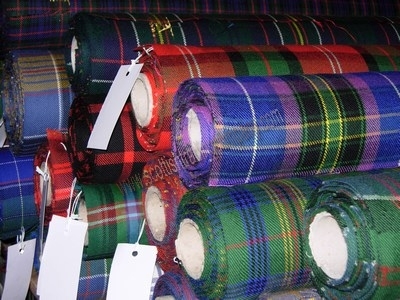 With a list of some rare and hard to find tartans it is ideal for making a number of items from Kilts to pillowcases! Sold in 1 yard increments this tartan is 56" wide. Please allow 4-6 weeks for delivery as fabric is shipped from Scotland a the time of order. Please click on the Selkirk Tartan link under our logo for pictures of the tartans.